Ep. 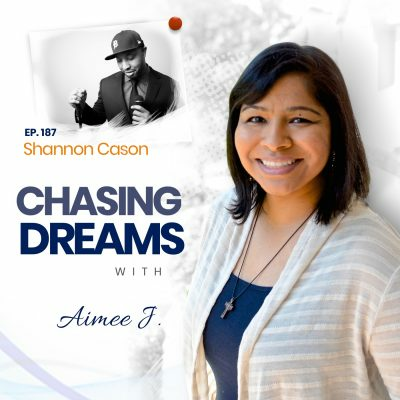 154: Aimee J. 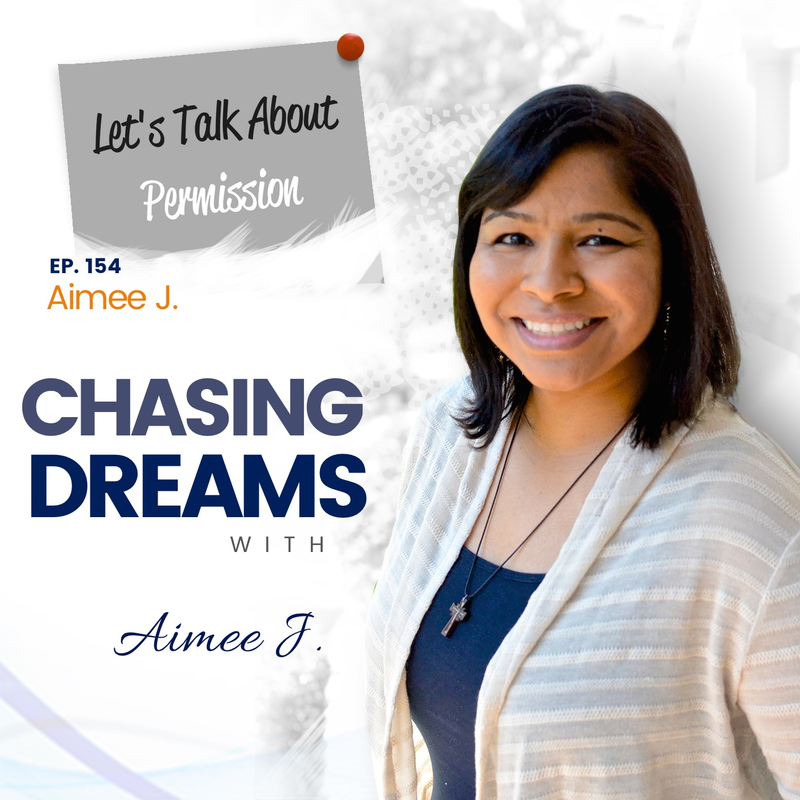 ­- Let’s Talk About Permission | Aimee J. What keeps you from chasing your dreams? Are you waiting for someone to give you permission to chase your dreams? Many of us do that, not realizing that we don’t need anyone’s permission. Just like last week’s show that reminded us that we are each important and unique, we need to be reminded that we don’t need to wait for anyone’s permission. Let’s explore this topic in today’s special episode with me, myself, and I. Think about all the things you ask permission for in your life. The one thing you DON’T need permission for is to chase your dreams. Don’t waste your time waiting for permission! We’ve had over 150 guests on the show who have chased their happiness and are better for it. It may not always be easy, but it’s a fulfilling journey. Don’t stay in an unhappy place. It’s YOUR life and YOUR experience and only YOU are responsible for it. I’ve been chasing dreams my whole life, and it hasn’t been a straight path. I worked at NASA as a computer engineer, but I didn’t feel challenged. I went to law school because I thought it would give me a greater opportunity to help people. I knew I could pursue anything I wanted. How important is work-life balance to you? It’s hugely important in my life and has been the impetus behind many decisions I’ve made. I left my job as a patent lawyer and became a contract manager at Comcast, where I learned many skills about making deals and negotiating. I’m happy with my journey and have no regrets. I learned that I’m a team player and I love helping people. Now I’m ready to help my family as my dad has surgery in a couple of weeks. 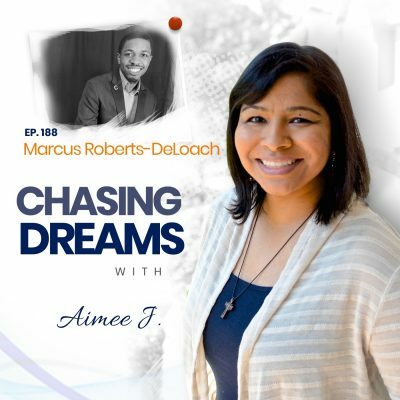 I’ve always given myself permission to chase my dreams, but it wasn’t overnight success.